A week today I will be on a coach with my babe heading to Boomtown Fair Festival and I am just bursting with excitement. I haven't been to this fest before so it is a whole new experience. I have been to countless other festivals like Rebellion, Holidays In The Sun, Reading, Download and more but fancied something a little bit different. My brothers girlfriend raved about a festival which mixes music styles up big time and is full of fun and energy. I put my deposit straight down. Before I go explaining a video can do it for me so let me cheat and just show you why I am so excited right now. It is not just a festival but a whole town bursting with fun. Before I bang on about the awesome line up I want to talk about what really attracts me to this festival. First CLOWNS what is not to love about clowns? how have I been going to festivals so long that lack clowns? 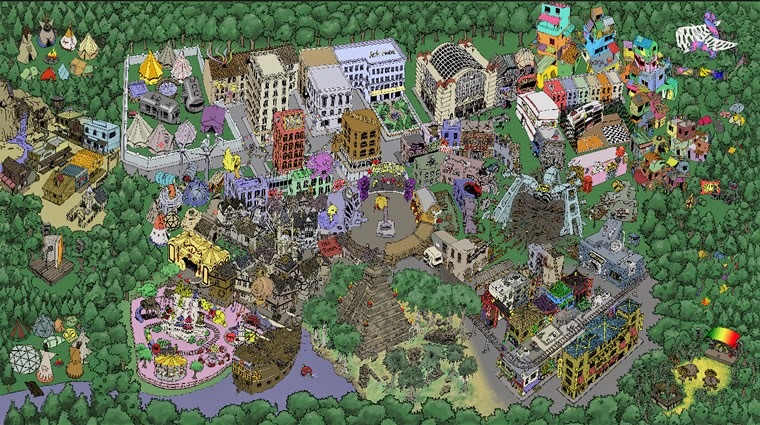 The whole festival is divided up into a town with lots of little areas.Each area has a theme and they don't do things in halves as you can see from the video they literally build a giant town with entertainment of it's own and fancy dress. I just love fancy dress! My only worry is how I will fit it all in as well as bands. I just feel like it has so much more of a magical feeling about it with a chance to just get away from it all and literally live in a fantasy land for a weekend. The inside of my head is pretty much already this crazy so it will be fun to have it sort of come to life and be surrounded by so much creativity. Lately I have been in a bit of a creative slump so I am hoping this place will get me buzzing again. Another great thing about this festival is they are pocket friendly You can pay for your ticket in instalments which saved the day for me and meant I could pay slowly rather than one big chunk gone out of my pocket. More festivals should take a note of this as in this climate I think it would make a real difference. Plus they have lots of options for those who prefer a bit of glamping with saunas and showers. Environmentally conscious and clever ways to keep the festival clean are around as well. Pinch me, am I dreaming? Does a festival this cool really exist? I think I could just get lost in this wonderful world of entertainment but then there is still even more. Music of course. So musically there are so many different styles. Punk, mainstream, dance hall, dub, drum and bass and lots of new styles to discover. If you are anything like me then you just love discovering new music. Already just looking at the line up I have found a ton of new bands I need to see. As well as old favourites. Here are a few bands/Artists I can't wait to check out. I already spoke about Molotov Jukebox in my last post so get your dance on to a bit more. If I find the face painter at boomtown I will defo be rocking this look. Hometown Birmingham boy Aries has always played some epic sets when I have seen him at home so I want to go show some serious support for him at the festival too. He never fails to play an amazing set that keeps me dancing like crazy. He keeps true to those old skool jungle vibes me and my brother love so much. Then there is the amazing NOFX on the punk stage but the one I am most excited for on this stage is Jaya the cat. I missed them when they last toured and they are such an awesome band that grace my headphones all the flipping time. That is all from me for now but expect a full up date on my return. Have you been to a festival this year? Have you been to Boomtown before? Sounds like a really fun festival to go to. Enjoy every moment. 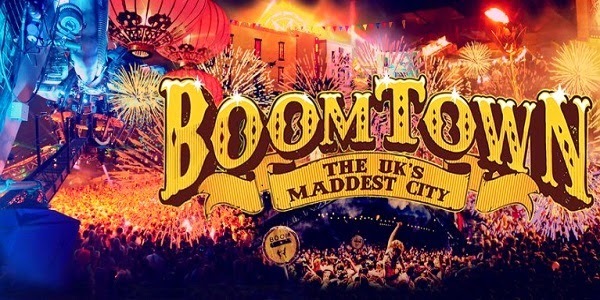 Loads of my friends go to and LOVE boomtown, personally I have never been. Hope you have a great time!